Every once in a while, I will hear from someone that their executive team wants sales to set the pricing because they are most aware of the marketplace and the competitive pressure. And while I agree that Sales should have a tremendous amount of input in the pricing process, they shouldn’t have the final say in setting *standard* pricing. It is a bit like having the fox watch the henhouse. Anyone with a quota has different incentives with regards to pricing than someone who is objectively trying to express the business value of a product. Once Standard pricing is set by Product Management (PM), then Sales will have an active role in deals-based pricing or ICB pricing. But Standard pricing must be owned by an organization without a quota. 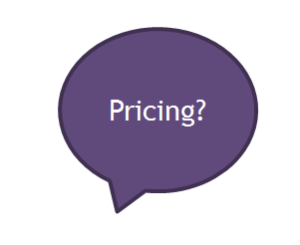 In the b-to-b world, like most other markets, pricing is negotiated. It is often the case that you want to publish your standard pricing which is the price that you would love to get, but you understand that there needs to be some wiggle room for the Sales force to negotiate. Our experience has been that when PM sets the standard and the floor, Sales has clear boundaries that they can move within. Some skeptics will say that Sales will always go straight to the floor and that may be true but it depends on a number of factors – namely their comp plan. If good salespeople will make more money by pricing closer to the standard/published pricing, then they will. Less experienced sales people or folks who are compensated on volume and not margin will likely go straight to floor pricing. But if PM defines it, the company should still be confident that adequate margins are maintained, even at floor pricing. 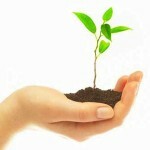 Today starts a series of blogs on launching a product. If you have heard me speak or been around me for 10 minutes, then you have heard me say that we recently launched 6 products in less than 3 years. I talk about it so much because I am so proud of this organization for accomplishing such an awesome feat. What does it take to launch a product? You have to define it. That sounds pretty basic, huh? Who would have a product that they couldn’t define? But the devil is in the details and there are several ways that products need to be defined. Let’s look at the nuances to better understand why this is harder than it looks. You have to articulate each feature in detail so IT (Engineering) knows what to build. This could be a prioritized list of 10-15 things or perhaps 100 small features. The point is that Product and IT need to be on the same page as to the critical features, and what are the nice additions to be added, time and resources permitting. But for product management, the product definition doesn’t end there. Our Agile textbook is just weeks away from being a real, tangible thing and it is so exciting. Continuing with our blog series with excerpts from the book, this one comes from the final chapter titled Agile Beyond IT. One might wonder why an Agile textbook would dedicate a whole chapter to marketing products developed by Agile teams or even how Agile has been deployed in Marketing and other corporate departments. My co-author, Sondra Ashmore and I believe that it is important to remember that a product is not successful because it was created by an Agile team. Successful products have to be launched correctly too and that can be an equally significant challenge. Here are the learning objectives from this chapter as well as an excerpt on marketing with agility. There are a number of ways to effectively market products built with Agile development teams. Some Agile purists are uncomfortable committing dates and features to the marketplace, but in most industries, it is not optional: Existing customers and late-stage prospects demand to know when and how the product will evolve. We outline several ways to balance these two sides. If you are considering sunsetting a product or platform, you need to proceed with caution, as all good Product Managers will do. Our previous blog addressed the data that you need to make an informed decision. 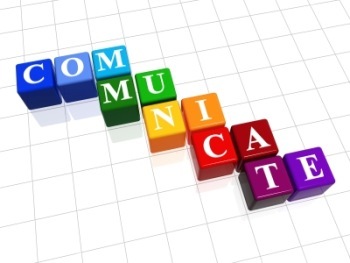 Once you have that in hand, you need to think about a well-organized and well-executed communication plan. If you are going to alter the customer’s experience, you need to think through how that will be communicated and you will likely need to over-communicate to make sure the message is received and no customer is surprised. There are a number of factors that will influence your communication plan. How many customers are impacted? Do they have active account managers involved (more on this below)? How do the customer receive information today? Through Bill Inserts? From the Website? E-mail alerts? Make sure that you know all communication vehicles so you carefully consider how to handle each one. The messaging is also critical and must be very action oriented and clear. This is not a marketing campaign or a sales slick. The verbiage needs to be simple to understand and clearly articulate the steps that need to be taken. You also need to consider the repetition. Sunsetting a product is a big event and you will need to tell customers over and over again to ensure that the message is received and digested. The easiest way to create a plan is to grab a calendar, pinpoint the desired date of the decommissioning and work backwards. For example, if you are relying on bill inserts as your primary mode of communication, then you will need to factor the billing cycle into the calendar. You will also need to ensure that your systems have the ability to differentiate the customers with the product targeted for sunsetting. Otherwise, you may have to inform the entire customer base and that may have larger implications. Product Management roles are challenging and fun and I am a self-professed Product Management geek. One of the critical responsibilities for a product manager is to successfully launch new products that are built in concert with the IT and Operations teams. In my experience, there are several key steps in the launch process that must be considered. Here are five posts that walk through these steps. What does it take to launch a product? I hope you find this information helpful and interesting. If there is anything that was missed, please let me know. Happy Launching!